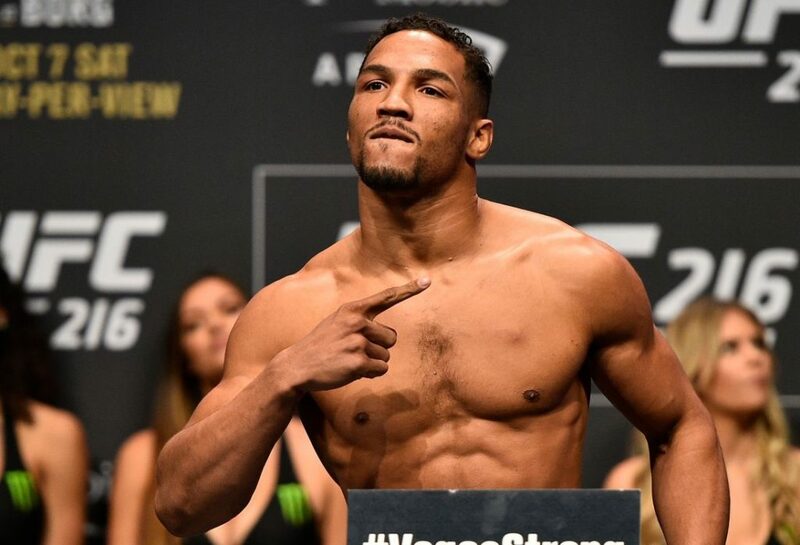 Kevin Lee vs. Nate Diaz: A Fight to Make? Emilio Urrutia gave Bruno Pucci a beatdown at ONE: Global Superheroes. 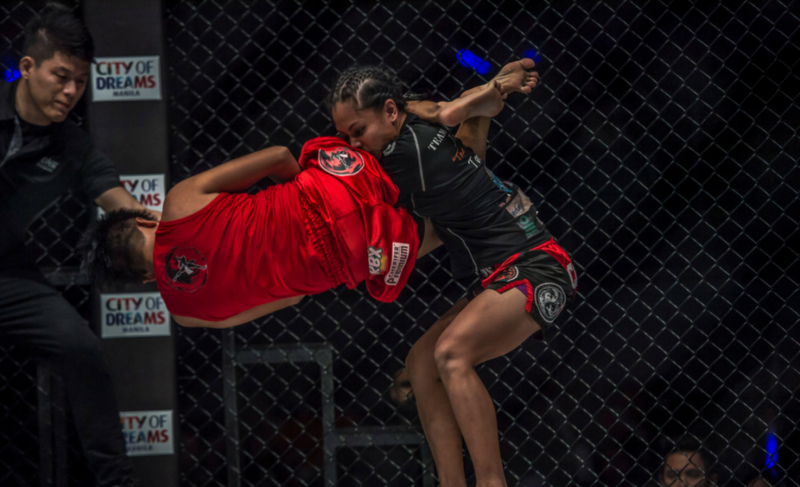 Urrutia, who fights out of Tiger Muay Thai in Phuket, Thailand, was multiple steps ahead of Pucci at every moment in the contest. 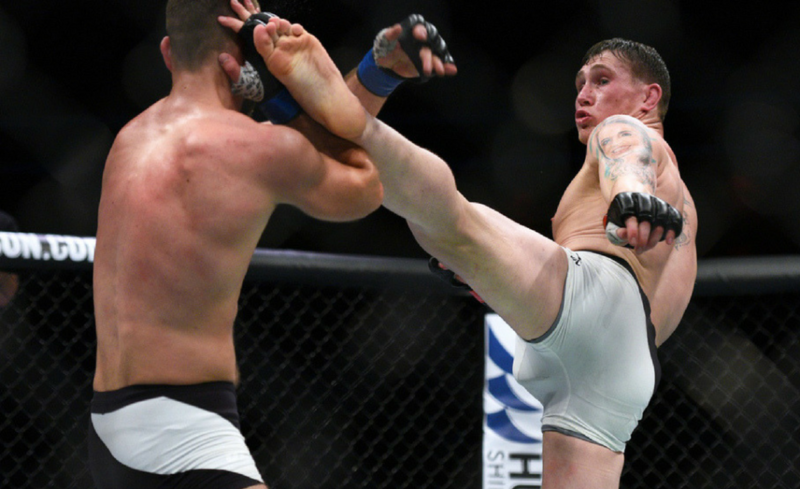 After a dominant striking display, Urrutia sent Pucci’s hopes of climbing the division crashing into the mat with a series of punches before signaling for an opportunity at the ONE Featherweight World Championship. So, how did he do it? Despite the brutal nature of the final series of punches, Urrutia’s work was a result of careful timing and strike selection, and a significant advantage in hand speed. When Pucci opened up with a jab just seconds into the first round, Urrutia answered back with a lightning-fast right hand that landed flush on Pucci’s chin. This counter right hand showcased the speed disparity between the two fighters. Immediately, it was apparent that Pucci would need to rummage his bag of tricks if he wanted to get the better of “The Honey Badger” on the feet. Because of the speed difference, Pucci was never able to establish any kind of threat. As such, his reach advantage as nullified because whenever he would attempt a strike, Urrutia answered back with combinations of his own. Urrutia was cruising and Pucci was faltering. But, this isn’t where it all fell apart for Pucci. The major takeaway from this battle was Pucci’s inability to stop the forward momentum of his opponent. To counter the forward movement, Pucci could have stepped to either side and created a new angle, or threaten with a level change, or attempt a double leg takedown. Even planting his feet and attempting to connect with powerful strikes would have been a better outcome than what happened. Because instead of implementing any of these techniques to shake the surging Urrutia, Pucci would often move backward in a straight line. 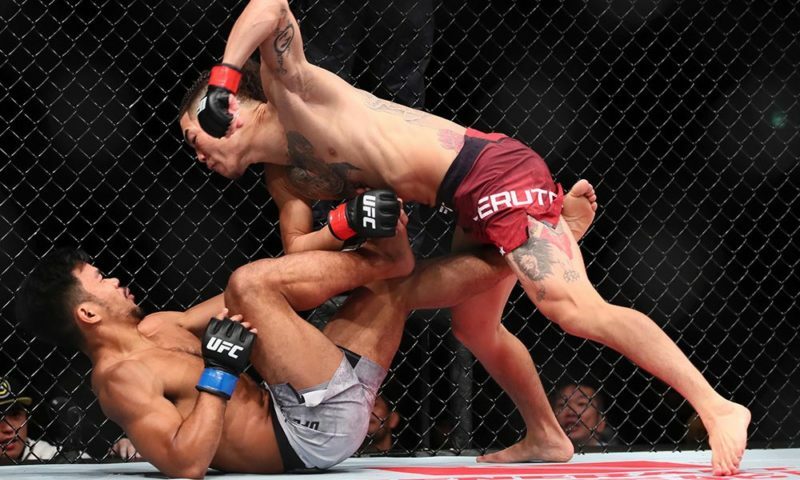 This action almost encouraged “The Honey Badger” to continue moving forward and use his unaffected balance to attempt loaded hooks and straight punches. On the other hand, Pucci’s backward movement meant that he was without an opportunity to counter strike or create separation. But most of all, Pucci was never able to secure a takedown and therefore had to deal with Urrutia’s dominant striking. 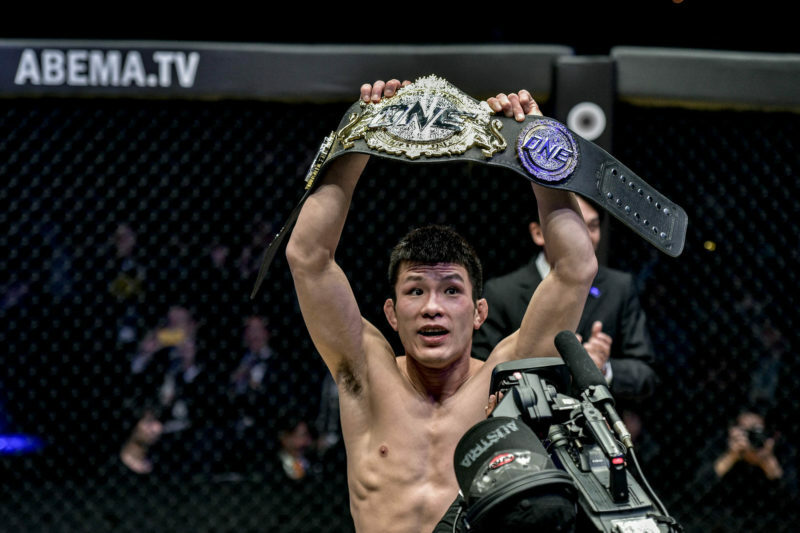 While Urrutia’s finish is already regarded as one of the best of the night from ONE: Global Superheros in Manila, Philippines, that recognition alone might not do the work of “The Honey Badger” justice. 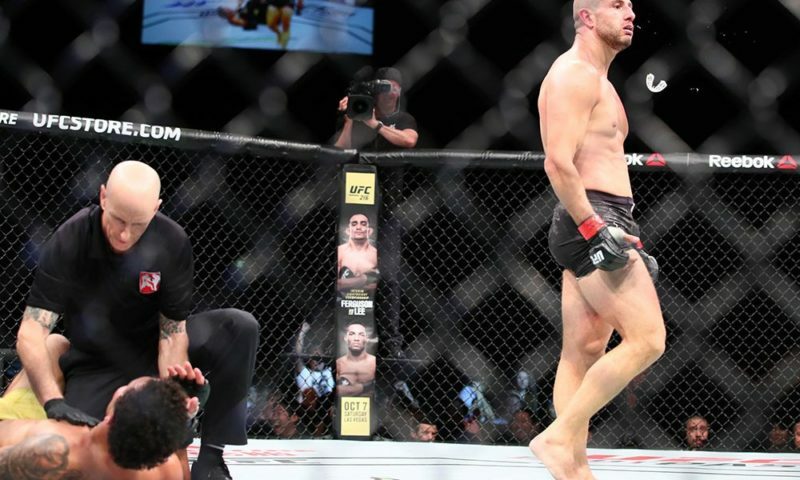 It wasn’t just the well-timed counter punches, the effective combinations of strikes, or his ability to scrape Pucci’s clinch away with ease, but rather a complete performance that was impressive from start to finish. 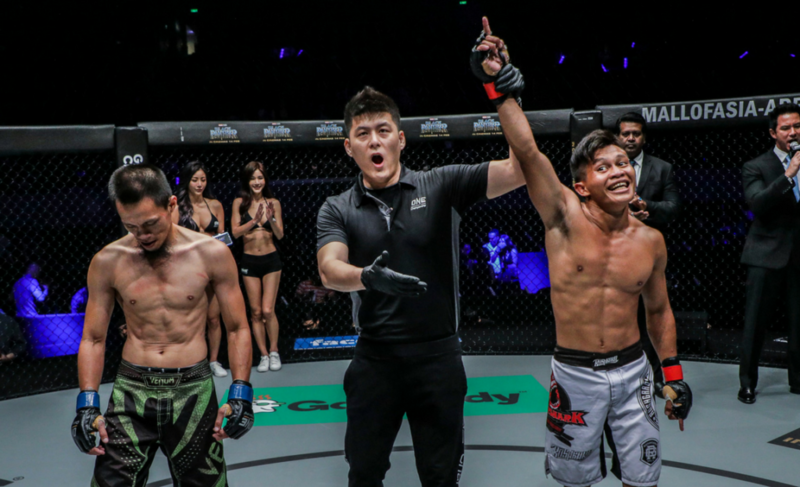 Now, with two consecutive wins since joining ONE Championship in August last year, Urrutia will be hoping to take down a bigger name in the division next time around.